When working on an important piece of writing, typos, grammatical, spelling and punctuation errors can spoil even the most masterfully written paper. In order to avoid these mistakes, you should know the inevitable problems that people are facing when revising written works. This is what we will analyze in this article. To remove misprints from the text you need special skills, time and a lot of concentrated work. Worst thing about misprints is that even when you have re-read your paper several times, they may remain unnoticed. It is necessary to be very attentive when scanning your work for misprints and it is even better to give it to professional proofreaders if your work is a significant one. There are many tough rules; exceptions form these rules and choosing options in regards to punctuation marks in English language. Even literate people can sometimes get lost in the mystical world of English punctuation. Stylistic inconsistencies are a big problem for many texts, because misuse of words and style can cause serious problems in understanding the text correctly. Text with semantic mistakes can cause unconscious annoyance, when reader will feel a little irritated without knowing why. None of the authors want it and that is why stylistic inconsistencies should be taken very seriously. The words that you use to form sentences should sound like a harmonious work of art. Don’t print it. Although, there are editors and authors that still want to work with printed texts, it is much more efficient and faster to edit the text directly on the computer. In case you’re afraid of losing the older versions of the text, just turn on the document tracking feature and you will be able to choose from different versions of the text. Use the built-in punctuation and spelling checker. These little tools are able to save you a great deal of time, so you should always use them. Of course, automatic spellcheckers will not be able to detect all the errors, but at least 80% of them they will be able to identify. And that’s a serious amount of time that you can save and spend on something more worthwhile. Read the text aloud slowly. If you want to make your text perfect, you shouldn’t miss out on this important step. The thing is that when you read your text many times, your vision can get ‘blurred’ and you will start missing mistakes. Reading the text out loud will help you to refresh your perception by using your ears instead of your eyes. Watch the rhythm of the text. Consistency of the text is important, but you should also remember about the rhythm. Alternate short and long sentences and make sure that rhythm of your text is not monotonous. Don’t forget about formatting. 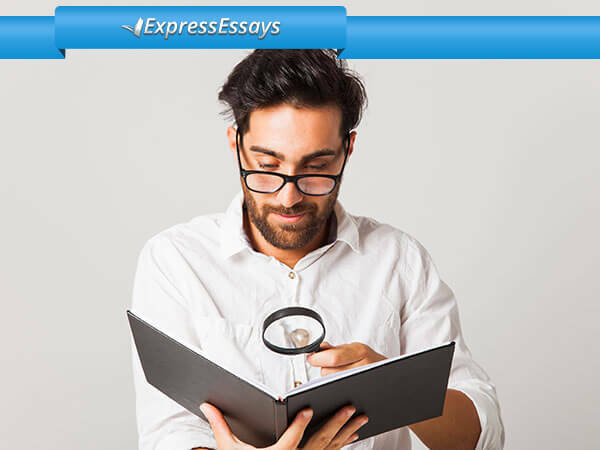 Formatting for academic paper is as important as its message and writing style. Consult your tutor before starting to write, because there are different types of formatting styles that can be applied to papers.